Cuban by nature, Cubay Rum is the son of the richest and most genuine rum tradition in the central region of the country, which was born at the end of the 19th century in highly sugarcane producing areas, located on the areas of Sagua la Grande, to the north of the province of Villa Clara, and in Cienfuegos. It was in these two places where rums that distinguished these areas from Cuban counterparts were created. Not only because of its organoleptic properties, but also because there were the results of an incipient industrialization, risky for its moment. These products were created in two large facilities: the alembic, which was known by the suggestive name El Infierno, located in Villa del Undoso, Sagua la Grande; and the distillery San Lino, settled in Cienfuegos. A century later, among the hundreds of brands of rums recognized by the Cuban Trademark Registry, Cubay is selected to be launched on the international market as a flagship of the Cuban Rum Industry. Thus begins the recognition and growth of a brand favored by its indisputable attributes: quality, history and tradition. Made with the use of a unique technology from extra-aged bases, subjected to different stages of mixing and aging in barrels of American white oak of the most diverse types and uses, in which some of its components have reached up to 13 years of Aging wines being aged in their final stages in extra-old barrels that have been carefully preserved and wisely used. Others of its components are superior quality rums that have patiently rested in carefully selected glass containers for more than 10 years, constituting Historic reserves of the center of the island. 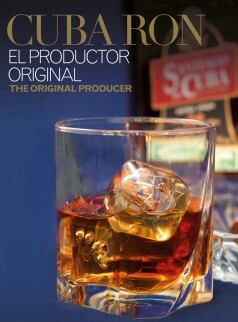 It is a rum that meets the requirements of the technological process. It is classified as white rum, because, by mixing and aging precious extra-aged bases, it maintains the coloration of white Cuban rums with unique shades where their origins stand out. It is an original and different product that combines the lightness and softness typical of white Cuban rums in a complex and intense experience reminiscent of long-aged rums and which is capable of transferring the senses to the very bowels of its origins; "Sugarcane". It is the distinguished member of the Carta Blanca class of the Cubay brand. Light amber color and perfect brilliance and transparency, with unique nuances, testimony to its natural and extensive aging, evoking the green of its origins; "Sugar cane". It is soft, fruity, permanent, non-irritating when it is inhaled deeply despite its 40% Alc in Vol, no artificial products, is very complex and yet is solidly built. It recalls the pure eau-de-vie and sugar cane. Its exquisite and balanced bouquet makes this product can remain living in dry glass, full glass and even in the mouth of the consumer. Its exquisite taste symbolizes the perfect balance between strength and delicacy, in a very round and solid entry that leads to a complex palate. Aromatic, full-bodied for its kind, where a harmonious symphony of flavors that remind us of eau-de-vie is discovered refined to the fullness, molasses, and sugar cane to provide an encounter with its origins. It leaves a clean taste, full-bodied, intense, expressing the art and magic of blending eaux-de-vie and aged rums.